nghenvironmental has 5 offices in urban and regional NSW, the ACT and WA. Our Sydney office carries out work predominately within the Sydney Basin, Hunter and northern regions of NSW. Our Wagga office has a wide catchment, from the Hume Highway west and into Victoria. Bega was our first office, established in 1992. Our Bega office mainly carries out work on the NSW south coast, Snowy Mountains and into north eastern Victoria. Our Brisbane office serves all of Queensland. Our Canberra office focuses on the ACT and surrounding Capital Region. Direct contact details for all of our offices can be found on our Contact Us page. nghenvironmental was founded in the Bega Valley in 1992. Since then we have grown to support more than 20 professional staff in six offices across Australia. 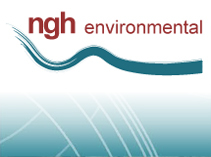 nghenvironmental serves a range of clients including government, statutory authorities and industry. Please refer to our 'sectors' tab for more information. nghenvironmental is proud to offer services conforming to the highest standards and underwritten by our Quality Assurance System and ongoing support of the Certified Environmental Practitioner Scheme (CEnvP) which was developed by the Environment Institute of Australia and New Zealand to boost community, business and regulator confidence in environmental professionals. Many of our senior staff and our Directors are Certified Environmental Practitioners and all of our documents are reviewed by CEnvP staff prior to release. nghenvironmental also actively supports the ongoing professional development of our staff, to ensure that our advice is always up-to-date. We work closely with a range of specialist associates to streamline the environmental assessment and planning process for our clients. 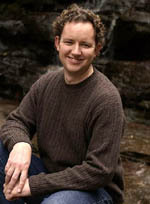 Nick is the founding Director of nghenvironmental. He has more than 15 years experience in environmental consulting, specialising in natural resource management. Nick's work demands an in-depth knowledge of current planning and environmental legislation, coupled with a comprehensive understanding of the potential impacts of a wide range of activities. Nick has acquired his knowledge in this field during his time in consulting, and formerly, with the National Parks and Wildlife Service. He has worked with a number of land management organisations within and outside Australia. Natascha has worked in environmental management since 1992. Recent work has lead Natascha to develop specialist skills in operational controls for construction sites. She has prepared a large number of environmental management plans, including weed management plans, flora and fauna management plans and erosion and sediment control plans, for small and large civil construction projects in an array of different environments, both natural and built. Natascha also has extensive experience in team management, with skills in training and in preparing and managing teams undertaking Environmental Impact Assessments for large road, rail and water infrastructure projects. Natascha's operational and planning experience has provided her with a thorough understanding of environmental planning and protection legislation and regulations. Erwin has extensive experience in environmental management, auditing and training. He is an RABQSA EMS auditor and member of the Environmental Management Systems Association of Australia. Erwin has worked across a broad range of environments, from coastal and urban to rural and arid lands. He has particular strengths in environmental management on infrastructure construction projects, with experience in both site management and independent review and evaluation. He has a thorough knowledge of erosion and sedimentation control principles and has advised clients on practical erosion and soil management solutions. Erwin is passionate about facilitating business sustainability by integrating practical environmental management strategies into existing business systems. He has successfully assisted clients to achieve environmental certification such as ISO14001 and reduce their environmental footprint, while in the process, identifying cost savings and production efficiency gains. Erwin has also been at the forefront of the growing carbon sector. He assists clients to identify their carbon exposure and analyses options for managing this risk. Together with the sustainability team at nghenvironmental, Erwin has been developing solutions to improve the environmental sustainability of businesses, facilities and operations.